Many businesses are investing more time and money into Social Media Marketing (SMM). In order to maximize your return on investment when it comes to SMM you need to not just plan a strategy but implement it. Knowing clearly where you want to go with your campaign is the easiest way to achieve this. Before you start, define what your measurables are going to be. Since conversations tend to follow an organic flow, it can be difficult to know precisely what might happen. This can’t be forced. However, it is possible to steer and lead conversations in such a way that they remain natural and unobtrusive. To execute a successful SMM campaign, what are the core factors? Know your story. Easy enough, it’s yours after all. But don’t ‘expand’ on your story just to make it sound better. Telling your story is the core of effective marketing but it needs to be credible and what your target market can relate to. Define your goals and metrics. How you intend to measure your success and how you plan to attain it are important ideas to have clear before you begin. The first two tips affect this third consideration. Where are you going to find your audience? You will be better able to find where they are online if you know who it is you are trying to reach. Last, determine honestly if you business is ready for SMM involvement and the time investment you must make. Social media marketing takes time and effort; you cannot simply create a Facebook Fan Page and a Twitter account and consider it complete. 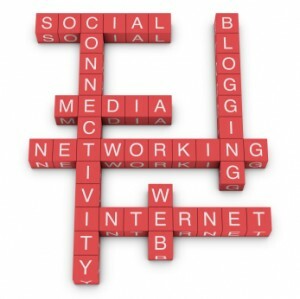 If you are not socializing through these networks, your SMM campaign has failed. Listen and respond to your audience and you will be able to influence them. When you decide to engage in a SMM campaign, dedicate yourself to it all the way and you will find that as your network grows, your business will prosper.